We present an origami construction of a maximum equilateral triangle inscribed in an origami, and an automated proof of the correctness of the construction. The construction and the correctness proof are achieved by a computational origami system called Eos (E-origami system). In the construction we apply the techniques of geometrical constraint solving, and in the automated proof we apply Gröbner bases theory and the cylindrical algebraic decomposition method. The cylindrical algebraic decomposition is indispensable to the automated proof of the maximality since the specification of this property involves the notion of inequalities. 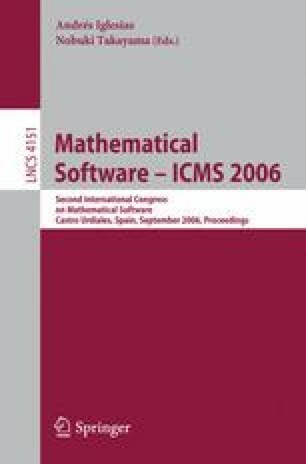 The interplay of construction and proof by Gröbner bases method and the cylindrical algebraic decomposition supported by Eos is the feature of our work.